Agrostis perennans. By John Hilty. Copyright © 2017 John Hilty. Illinois Wildflowers – www.illinoiswildflowers.info (Accessed 7/2017). Agrostis perennans is a perennial, C3 grass (Basinger 2002), to 1 m tall, tufted, colonial from rhizomes (USDA, NRCS 2006); stems tending to recline, often branching and with leafy autumn basal shoots; ligule membranous, 0.3-0.5 cm long, sheaths overlapping. 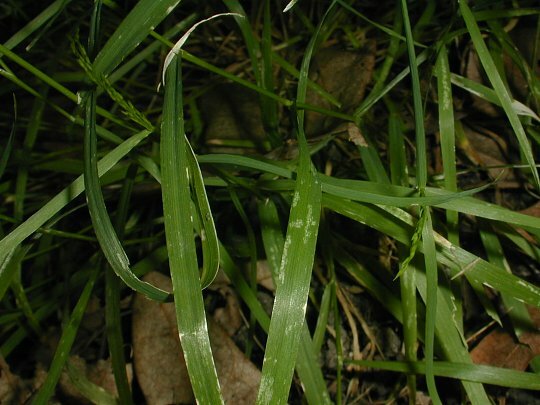 Agrostis perennans leaves. John Hilty. Illinois Wildflowers. www.illinoiswildflowers.info (Accessed 7/2017). Leaves alternate, basal blades very short, fine, stem leaves 3-7, flat, 10-30 cm long, 0.2-0.6 cm wide, (basal leaves much shorter) pale, dull gray-green, blades mostly longer than sheaths, ascending, tip sharply pointed, base rounded; stem leaves dying and curling as plant blooms and fruits. Flower spikelets 1-flowered, about 0.2 cm long, glumes sub-equal, awnless, lemma delicate, no palea; inflorescence delicate, open, pale green, sometimes bronze-tinged, to 35 cm long with 5-9 whorls of branches, lowest node with many branches, branches fork at or below middle; blooms and fruits Aug.-Sept.; empty glumes persist often well into fall. Habitat: Disturbed woods or open areas, lawns, trail edges, prefers soil pH 5.5-7.5, tolerant of anaerobic soil, fire, fairly shade tolerant, intolerant of salt (USDA, NRCS 2006). 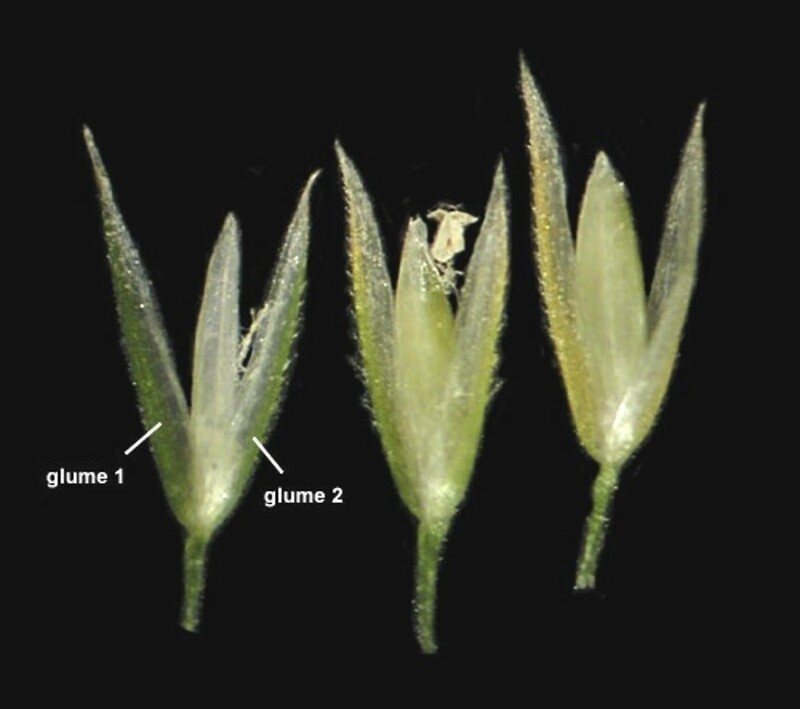 Notes: Plants shown to be infected by endophytic fungi Acremonium sp. 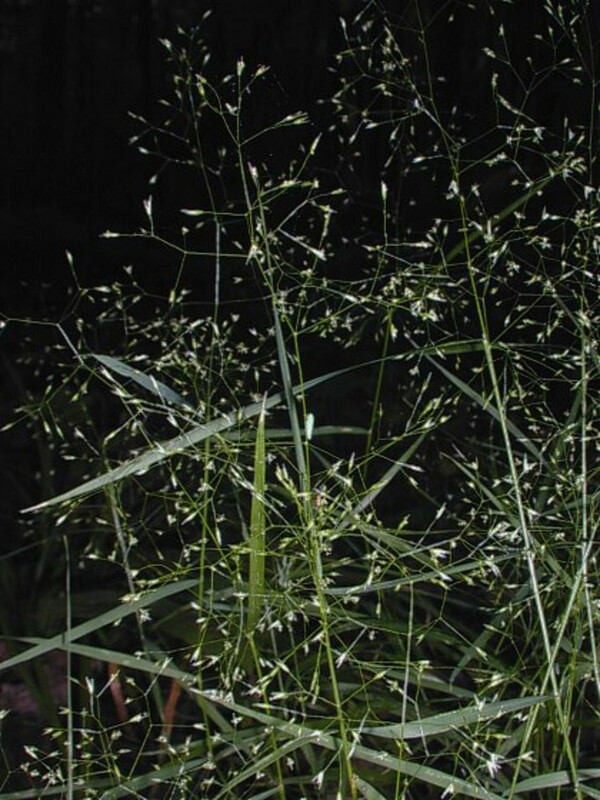 and Epichloë sp., Clavicipitaceae (Clay and Leuchtmann 1989).